We have added the 100 Number Square to our range in response to the many requests for it that we have received from teachers. Based on the Flexitable format the 100 Square Grid is printed with the same lead free inks on PVC to give you a pliable table that is easy for students to manipulate. 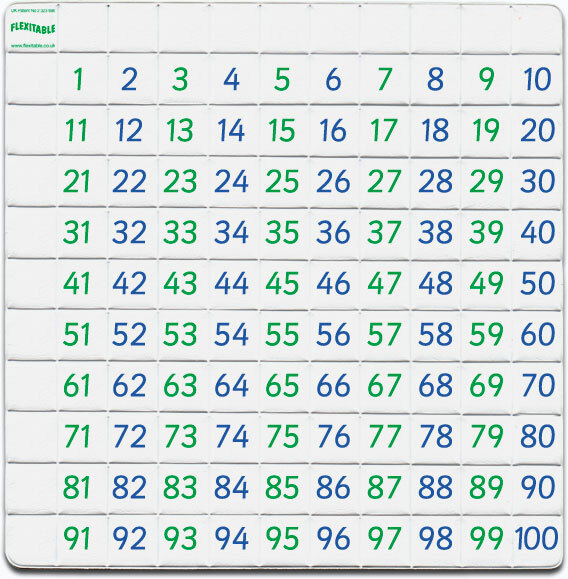 The columns of odd figures are printed in green whilst the even numbers are printed in blue to help children gain familiarity with the numbers 1-100 and to discover basic number patterns.